I’ve worked up some shaders for Unity’s Terrain system that allows for tri-planar texturing. Adds normal/spec/gloss, too. 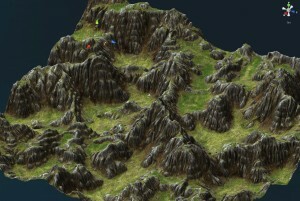 Here’s a shot of it in action with a procedurally generated terrain by Derek Traver.